In Japan, you can find many varieties of ramen, with qualities that change depending on location and vendor. With the invention of instant noodles, ramen was popularized in the United States, but it is more than just quick and easy food. Different types of broth, noodles, toppings and methods of preparation add to the complexity and quality of ramen. Nowadays, craft ramen has been growing in the United States, which shifts the negative perception of ramen as an instant, microwaveable food. 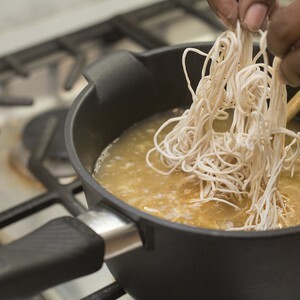 Using healthy organic materials, many chefs are dedicated to the creation of organic ramen noodles, broth and toppings, particularly through the incorporation of local ingredients available in various U.S. cities and states.